Fundamental Design's Portion Pal works to provide product uniformity and save money. The Portion Pal controls sauce costs by distributing perfect portions. Fundamental Design's Portion Pal comes with a variety of items. The 16 oz. 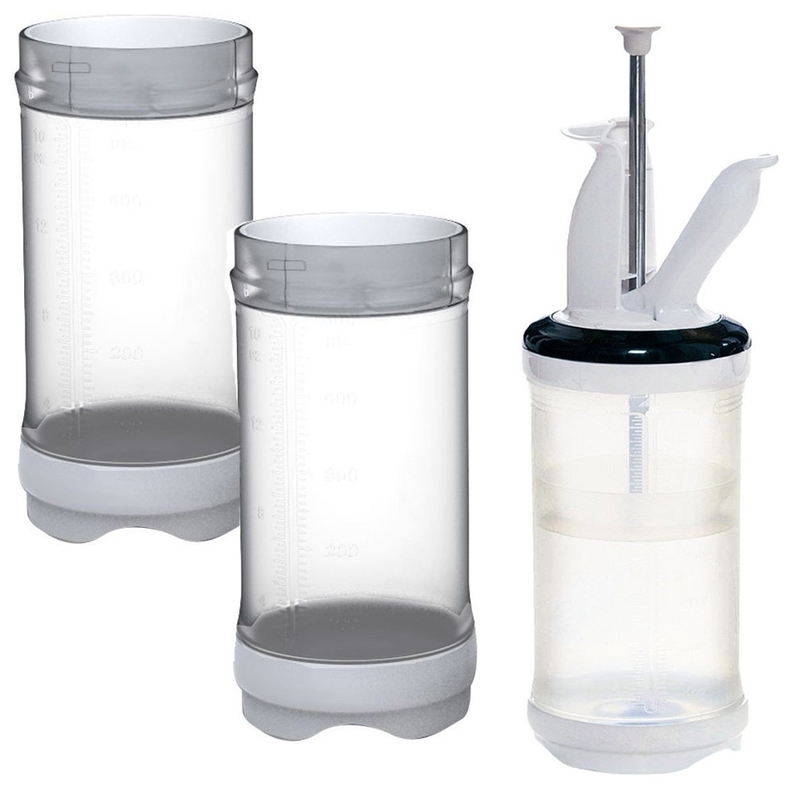 Portion Pal was designed to easily store spare bottles in the fridge and quickly refill itself. The Portion Pal can be used with thin and thick sauces. Use with sour cream, Italian dressing, and many more. Fundamental Design's Portion Pal is a great purchase for new restaurants. Public Kitchen Supply and Fundamental Design recommends the 16 oz. Portion Pal Restaurant Starter Pack to fast food joint, diners, restaurants and other commercial kitchens. You will appreciate Portion Pals clean operation and consistency. Add Fundamental Design's Portion Pal to your kitchen.